By using this Site, you agree to be bound by, and to comply with, these Terms and Conditions. Please note that all shelving orders, are made to measure for each customer individually and we therefore CANNOT accept returns, cancellations or provide refunds, (we may at times be able to cancel an order if we are contacted early enough, where no work on the order has yet been done) unless due to an error on our part. Please satisfy yourself with a sample, before placing an order. You can request to return non bespoke items, you will have to pay the postage, and a 15% handling charge will be deducted, we will process the refund once the items have been received back, and in perfect condition. Items can only be returned after you have received our approval. 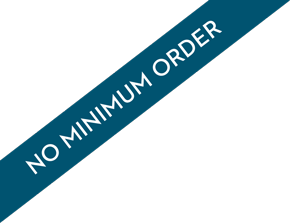 We usually ship all of our orders on a next day delivery courier, where reasonably straightforward and economical to do so, but this is not a guarantee. Where we offer next working day dispatch, we will try our best where reasonable to do so, and is not a guarantee, and unexpected delays may occur, and is subject to availability of materials. We offer next day dispatch on all-purpose and scrap wood shelving, floating shelves will be dispatched within 7 days, and MDF cut to size, and any specials, will notified at time of order. Our factory may close for short periods, due to maintenance, holidays etc., and a notification may be displayed. Please note, that shelves are produced from man-made board, as chip board or MDF covered with a melamine. We do not provide original solid wood shelves. Please note that "Width (length)" also indicates wood grain direction, so if for example you would like a shelf of 500mm x 200mm but you want the wood grain to run the short way you should type in the "Width (length)" box 200mm and in the "depth" box 500mm, (see measuring guidance on all-purpose shelving order page). Please note before attempting a return request for wrong sizing, it will be your duty to double check with an accurate measuring device, and prove us its inaccuracy, this can be done by holding a tape measure on the shelf showing the wrong measurement, and taking a picture of it and emailing it to us, otherwise you will have to pay for the return, it will have to be well & suitably packaged to avoid damage. Upon receipt, we will confirm the inaccuracy and then refund you the delivery charge and dispatch a replacement item as soon as possible. All orders placed on this site are manually checked prior to acceptance of the funds paid to us over the internet, and where we have any doubt on order details, we will contact customer by email or phone to clarify. Items may become out of stock which includes any melamine décor finish wood, and we can’t guarantee it always being available, although we will always try to satisfy where reasonably possible, you will have the choice of having similar items in its place, or to cancel the order and receive a full refund. We will apply a 5% discount to all orders of above £100.00 excluding delivery and Vat, and this will clearly be shown in the basket.